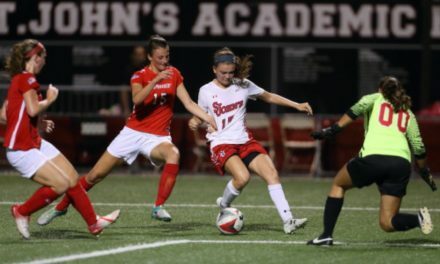 QUEENS, N.Y. — Zsani Kajan snapped a 2-2 deadlock in the 73rd minute to lift the St. John’s University women to a 3-2 victory over the University of Delaware at Belson Stadium Friday night. 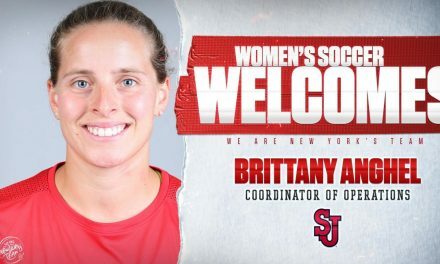 Christina Bellero recorded her first multi-goal game for the Red Storm, which celebrated head coach Ian Stone’s 25th anniversary as St. John’s coach. Before hand, a pregame ceremony on the field recognized Stone’s tenure at the helm of the Red Storm women’s soccer program. Nearly 40 St. John’s women’s soccer alumni who played under the guidance of Stone were recognized during the intermission. Kajan, a Budapest, Hungary native, recorded her seventh goal this season. She also dished out an assist. Samie Scaffidi had two assists for the Red Storm, which won its fourth home game of the season. The Johnnies wasted no time getting on the board. In the 10th minute Scaffidi evaded her defender and rocketed a beautiful pass across the box to an open Bellero. Bellero chipped in a shot to the bottom left corner of the net for her second goal of the season. Delaware’s Riley Dixon recorded the equalizer in the 38th minute. 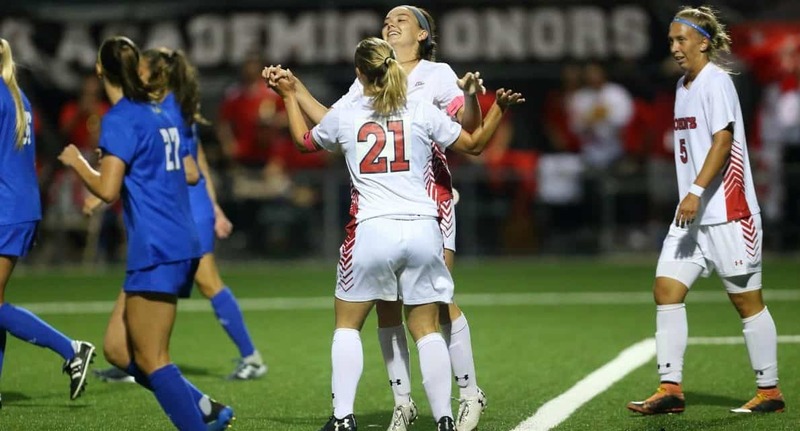 Less than three minutes into the second half, the Red Storm struck again to take a 2-1 lead. The sequence began with a pass from Lucy Whipp, who found Kajan inside the box. Kajan drew a through ball to a streaking Bellero, who delivered a quick shot to the right corner of the goal. The Blue Hens responded again in the 61st minute when Damali Simon-Ponte found an open opportunity to knot the game at 2-2. Scaffidi played a through ball for Kajan, who finished in the right corner of the net for the game-winner. 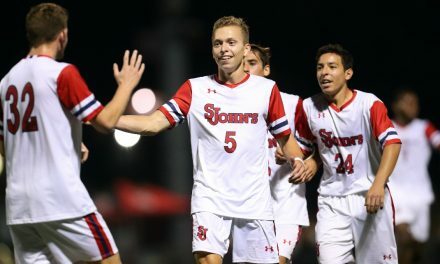 The Red Storm open up Big East play at Belson Stadium against reigning conference hampions Georgetown University Sept. 23 at 1 p.m.